Exchange rates of foreign currencies is calculated based on the exchange rate of the lev against the euro, as a source using published by the European Central Bank rate of the euro at the same currencies for the day. Courses are rounded to six significant digits, the number of foreign currency units, which is announced quotation, determined so, the first digit before the decimal point of the equivalent to a non-zero. BNB Exchange Rates. BNB publishes exchange rates of foreign currencies and gold, valid for the same day, the site are to 16:00 h. CET. In the absence of new exchange rates at that time shall be deemed valid rates published for the previous working day. Exchange Rates and Financials. In Finance, on the exchange rate (also known as exchange rate, exchange rate, FX rate or Agio) between two currencies, the speed, at which one currency will be exchanged for another. He also considered the value of the currency of one country to another currency. For example, interbank exchange rate 91 Japanese yen (JPY, ¥) the U.S. dollar (US $) means, that ¥ 91 will be exchanged for each US $ 1 or that the U.S. $ 1, will be exchanged for each 91 yen. Exchange rates are determined by the foreign exchange market, which is open to a wide range of different types of buyers and sellers, where currency trading is continuous: 24 hours a day except Saturdays and Sundays, ie. trade from 20:15 GMT in the week, to 22:00 GMT Friday. The term exchange rate refers to the current exchange rate. Forward exchange rate refers to the exchange rate, that is quoted and traded today, but for delivery and payment at a specified future date. 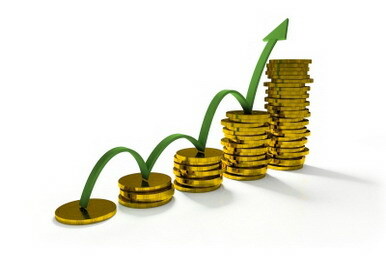 In the retail market, foreign exchange, different buying rate and selling rate quoted dealers money. Most trades are to or from the local currency. The purchase price is the degree, where your money dealers will buy foreign currency and sell, the speed, with which they will sell currency. The prices will include allowance for the dealer margin (or profit) trade, or margin can be recovered in the form of “Commission”, or otherwise. Different rates may be quoted for money (usually noted), documentary form (as travelers checks) or electronically (such as the purchase of credit card). The higher rate on documentary transactions is due to the additional time and cost of clearing the document, and cash available for resale immediately. Some dealers, other hand prefer documentary transactions for security reasons cash. The exchange rates are based on the reference rates of the ECB for the day and apply for the purposes of statistical and accounting.